After vowing to address the growing concern of smartphone addiction earlier this year, Apple is now making good on its word. 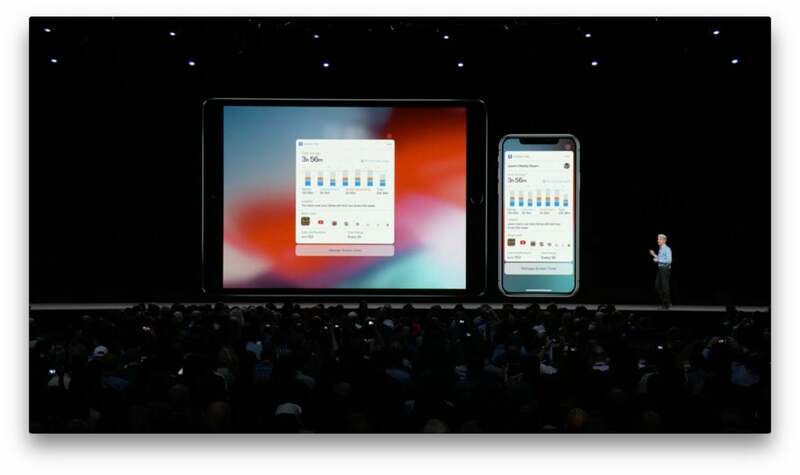 During the WWDC keynote, Craig Federighi took some time to spotlight some of the new features in iOS 12 designed to help users get a grip on their smartphone habits. Rather than roll out small perfunctory capabilities, Apple is jumping right into the game with a slew of major changes that put it on par with Google’s impressive efforts in Android P.
There are three components of Apple’s new digital health initiative: Do Not Disturb, Notifications, and a new app called Screen Time. Working together, they represent a whole new way to get a handle on how you use your iPhone and keep it from bugging you too much. In iOS 12 your phone won’t bug you while you’re sleeping. 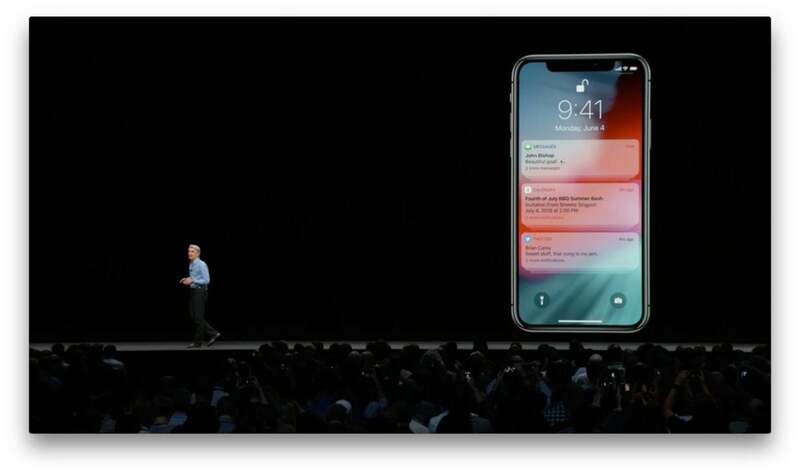 Apple’s Do Not Disturb feature in iOS already lets you keep notifications and alerts from buzzing and pinging you when you’re at a meeting or a movie, but Apple is enhancing its abilities in iOS 12 in several ways. It starts with the end of your day: bedtime. 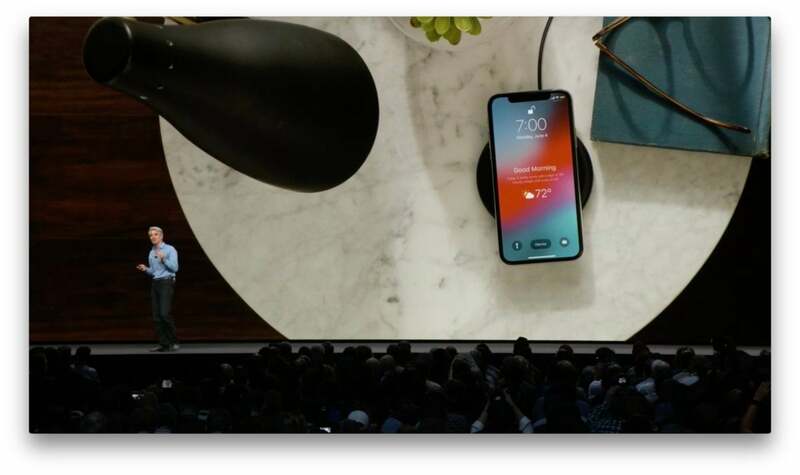 Apple is unveiling a new mode for Do Not Disturb specifically designed for your nightstand, which keeps the screen black until morning. Turn it on and nothing will get through until you wake up. Apple is also offering greater control over Do Not Disturb with controls built right into Control Center. Tap the icon and you’ll get new options to set a specific end time for Do Not Disturb, and with location awareness, you’ll also be able to tell it to turn off when you leave a specific area, like when you’re at the park with your kids or having lunch with a friend. Notifications will finally be grouped in iOS 12. Notifications are probably the biggest annoyance in iOS, and frequency isn’t even the biggest problem, organization is. With iOS 12, Apple is changing the way we receive notifications, and it could have a major impact on the amount of time we need to flick through them. First and foremost, Apple will be grouping notifications in iOS 12 so you won’t need to scroll through dozens of Mail or Twitter notifications every day. Alerts will be grouped by app, topic, and thread, and you’ll be able to clear or triage all of them with just a swipe. Additionally, Apple will be adding new settings for notificatinos that let you long-press on an alert to get new actions, such as turning off future notifications from the app or letting you turn on silent mode. And Siri will get in the game as well, offering suggestions to turn off notifications for apps that you don’t use often. iOS 12’s new Screen Time app will show you exactly how much time you’re spending on your devices. While the enhancement to notifications and Do Not Disturb are nice, the biggest changes to iOS’s digital wellness is with Screen Time. Much like Android P’s new Dashboard, the new app will provide a series of daily reports that let you keep tabs on how much time you’re spending in your favorite apps and how many notifications you’ve received, so you can try to cut down on your usage. 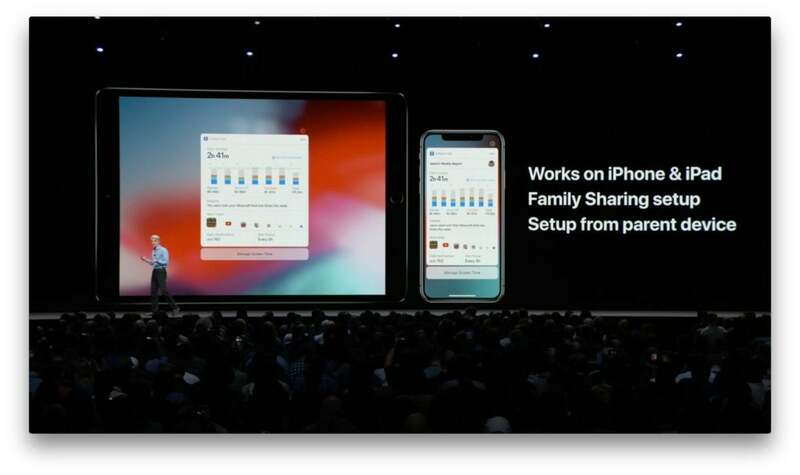 Parents will get much greater control over their kids’ screen habits in iOS 12. While limiting our own screen time is important to our metal health, it’s loads more important for our children. While Amazon and Google each have apps that let parents set restrictions for how much time kids can use their devices, Apple failed to implement any kind of parental controls in iOS 11, leading to some pointed criticism of the company. That’s changing in a big way in iOS 12. With the Screen Time app, Apple is offfering parents a new interface for controlling what their kids can see and how long they can see it. With full remote management, parents will be able to create “allowances” for kids using different devices, setting limits based on usage and time of day. There will also be easier restrictions settings that limit specific apps and categories, or simply cut off certain types of content. Finally, parents will also be able to set apps that can always be used, such as Messages or Phone.